Millennials: You May Throwing Retirement Money Away! 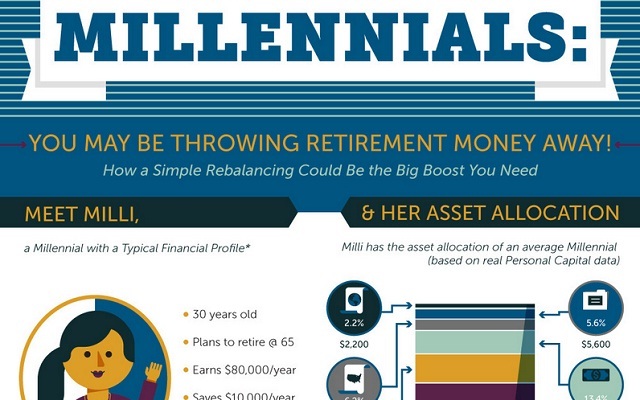 #infographic ~ Visualistan '+g+"
Meet Milli: Milli’s retirement savings are all out of whack. In fact, given her current strategy, she may need to work two years longer than she needs to. It’s time for Milli to stop throwing her retirement money away. Mint, in partnership with Personal Capital, is going to walk Milli through a simple re-balancing exercise that will boost her savings by 18%!